Considered handsome, Roy Bean competed for the attentions of various local girls. A Scotsman named Collins challenged Bean to a pistol-shooting match on horseback. Bean was left to choose the targets, and decided that they would shoot at each other. The duel was fought on February 24, 1852, ending with Collins' receiving a wound to his right arm. Both men were arrested and charged with assault with intent to murder. While he was in jail, Bean received many gifts of flowers, food, wine, and cigars from ladies. His final gift included knives encased in tamales. Bean used the knives to dig through the cell wall. After escaping on April 17, Bean moved to San Gabriel, California, where he became a bartender for his brother's saloon, known as the Headquarters Saloon. After Joshua was murdered in November, Bean inherited the saloon. Roy Bean later became a Los Angeles Ranger and rode with legendary lawman Horace Bell. In 1854, Bean courted a young lady, who was subsequently kidnapped and forced to marry a Mexican officer. Bean challenged the groom to a duel and killed him. Six of the dead man's friends put Bean on a horse and tied a noose around his head, then left him to hang. The horse did not bolt, and after the men left, the bride, who had been hiding behind a tree, cut the rope. Bean was left with a permanent rope burn on his neck and a permanent stiff neck. Shortly after that, Bean chose to leave California and migrated to New Mexico to live with Sam. The latter had been elected the first sheriff of Doña Ana County. In 1861 Samuel G. and Roy Bean operated a merchandise store and saloon on Main Street in Pinos Altos in present-day Grant County, New Mexico. It advertised liquor and "a fine billiard table." A cannon belonging to Roy Bean, sat in front of the store for show. It was used to repel an Apache assault on the town. During the Civil War, the Texas army invaded New Mexico. After the Battle of Glorieta Pass in March 1862, the Texans began retreating to San Antonio. After first taking money from his brother's safe, Bean joined the retreating army. For the remainder of the war, he ran the blockade by hauling cotton from San Antonio to British ships off the coast at Matamoros, then returning with supplies. For the next twenty years, Bean lived in San Antonio, working nominally as a teamster. He attempted to run a firewood business, cutting down a neighbor's timber. He then tried to run a dairy business, but was soon caught watering down the milk, and later worked as a butcher, rustling unbranded cattle from other area ranchers. On October 28, 1866, he married eighteen-year-old Virginia Chavez. Within a year after they were married he was arrested for aggravated assault and threatening his wife's life. Despite the tumultuous marriage, the two had four children together, Roy Jr., Laura, Zulema, and Sam. The family lived in "a poverty-stricken Mexican slum area called Beanville". By the late 1870s, Bean was operating a saloon in Beanville. Several railroad companies were working to extend the railroads west, and Bean heard that many construction camps were opening. A store owner in Beanville "was so anxious to have this unscrupulous character out of the neighborhood" that she bought all of Bean's possessions for $900 so that he could leave San Antonio. At the time, Bean and his wife were separated. Bean left his children with friends as he prepared to go west. With his earnings, Bean purchased a tent, some supplies to sell, and ten 55-gallon barrels of whiskey. By the spring of 1882, he had established a small saloon near the Pecos River in a tent city he named Vinegaroon. Within 20 miles (32 km) of the tent city were 8,000 railroad workers. The nearest court was 200 miles (320 km) away at Fort Stockton, and there was little means to stop illegal activity. A Texas Ranger requested that a local law jurisdiction be set up in Vinegaroon, and on August 2, 1882 Bean was appointed Justice of the Peace for the new Precinct 6 in Pecos County. His first case had, however, been heard on 25 July 1882 when Texas Rangers brought him Joe Bell to be tried. One of his first acts as a justice of the peace was to "shoot up the saloon shack of a Jewish competitor". Bean then turned his tent saloon into a part-time courtroom and began calling himself the "Law West of the Pecos." As judge, Bean relied on a single lawbook, the 1879 edition of the Revised Statutes of Texas. If newer law books appeared, Bean used them as kindling. Bean did not allow hung juries or appeals, and jurors, who were chosen from his best bar customers, were expected to buy a drink during every court recess. Bean was known for his unusual rulings. In one case, an Irishman named Paddy O'Rourke shot a Chinese laborer. A mob of 200 angry Irishmen surrounded the courtroom and threatened to lynch Bean if O'Rourke was not freed. After looking through his law book, Bean ruled that "homicide was the killing of a human being; however, he could find no law against killing a Chinaman". Bean dismissed the case. By December 1882, railroad construction had moved further westward, so Bean moved his courtroom and saloon 70 miles to Strawbridge. A competitor who was already established in the area laced Bean's whiskey stores with kerosene. Unable to attract customers, Bean left the area and went to Eagle's Nest, 20 miles west of the Pecos River. The site was soon renamed Langtry. The original owner of the land, who ran a saloon, had sold 640 acres to the railroad on the condition that no part of the land could be sold or leased to Bean. O'Rourke, the Irishman Bean had previously acquitted, told Bean to use the railroad right-of-way, which was not covered by the contract. For the next 20 years, Bean squatted on land he had no legal right to claim. Bean named his new saloon The Jersey Lilly in honor of Lillie Langtry, who recounted how she visited the area following the death of Roy Bean in her autobiography. He sent for his children to live with him at the saloon, with youngest son Sam forced to sleep on a pool table. Langtry did not have a jail, so all cases were settled by fines. Bean refused to send the state any part of the fines, but instead kept all of the money. In most cases, the fines were made for the exact amount in the accused's pockets. Bean is known to have sentenced only two men to hang, one of whom escaped. Horse thieves, who were often sentenced to death in other jurisdictions, were always let go if the horses were returned. Although only district courts were legally allowed to grant divorces, Bean did so anyway, pocketing $10 per divorce. He charged only $5 for a wedding, and ended all wedding ceremonies with "and may God have mercy on your souls" (traditionally the end of a death sentence). Bean won re-election to his post in 1884, but was defeated in 1886. The following year, the commissioner's court created a new precinct in the county and appointed Bean the new justice of the peace. He continued to be elected until 1896. Even after that defeat, he "refused to surrender his seal and law book and continued to try all cases north of the tracks". In 1890, Bean received word that Jay Gould was planning to pass through Langtry on a special train. Bean flagged down the train with the danger signal. Thinking the bridge was out, the train engineer stopped. Bean invited Gould and his daughter to visit the saloon as his guests. The Goulds visited for two hours, causing a brief panic on the New York Stock Exchange when it was reported that Gould had been killed in a train crash. In 1896, Bean organized a world championship boxing title bout between Bob Fitzsimmons and Peter Maher on an island in the Rio Grande because boxing matches were illegal in both Texas and Mexico. The fight lasted only 1 minute, 35 seconds, but the resulting sport reports spread his fame throughout the United States. As he aged, Bean spent much of his profits to help the poor of the area, and always made sure that the schoolhouse had free firewood in winter. He died March 16, 1903, peacefully in his bed, after a bout of heavy drinking in San Antonio over the building of a new power plant. He and a son, Sam Bean, are interred at the Whitehead Memorial Museum in Del Rio. Phantly Roy Bean, Jr. (c. 1825 – March 16, 1903) was an eccentric U.S. saloon-keeper and Justice of the Peace in Val Verde County, Texas, who called himself "The Law West of the Pecos". According to legend, Judge Roy Bean held court in his saloon along the Rio Grande in a desolate stretch of the Chihuahuan Desert of southwest Texas. After his death, Western films and books cast him as a hanging judge. 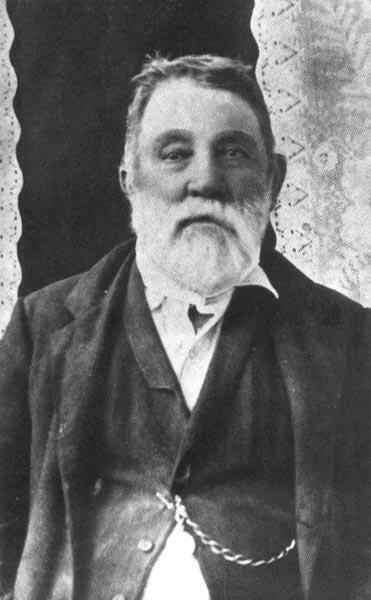 Roy Bean was born in 1825 in Mason County, Kentucky, the youngest of three sons of Phantly Roy Bean, Sr., and the former Anna Henderson Gore. The family was extremely poor, and at age sixteen Bean left home to ride a flatboat to New Orleans and possible work. After getting into trouble there, Bean fled to San Antonio, Texas to join his older brother Sam. In 1848, the two brothers opened a trading post in the Mexican state of Chihuahua. Soon after, Roy Bean shot and killed a Mexican desperado who had threatened "to kill a gringo." To escape being charged with murder by Mexican authorities, Roy and Sam Bean fled west to Sonora. By the spring of 1849, Bean had moved to San Diego to live with his older brother Joshua. The older Bean was elected the first mayor of the city the following year.